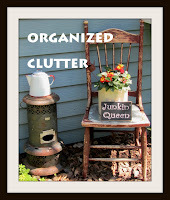 Without a doubt my top four finds from 2013 were items I found for my junk gardens! I bought this awesome barn door from a local antique/consignment shop owner for $30. Worth every penny and more. I used my barn door in a neutral vignette under a tree here. It was love at first sight! I couldn't get it off of my mind, and bought it the very next day. This potting sink/bench that I purchased in the spring of 2013 inspired me to put together this whimsical outdoor kitchen vignette. 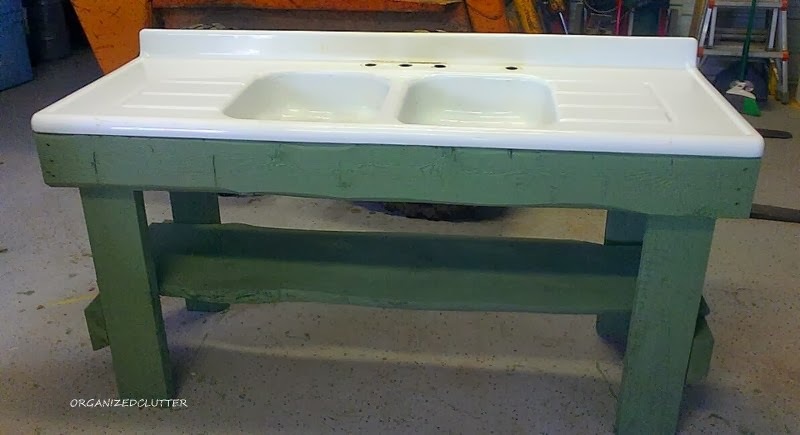 This wringer was drastically reduced in price one day at a local occasional shop, and I snatched it up for my laundry tub planters. I think the wringer was a perfect garden accessory! A $20 junky chain link gate was Top Vintage Find Number 4. The old gate was perfect for a fall trio of junk pumpkins as well! This old wooden box with chippy red and green paint first appeared on a bench in front of a sofa in my junk gallery wall post. But it stole the show here in my junky rustic outdoor Christmas vignette. I can't wait to get back to the hunt for more great junk in 2014! 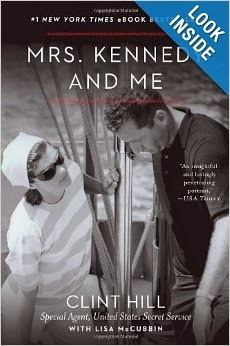 Still on a semi-blogging break here, and planning to read Mrs. Kennedy & Me. Fabulous finds for sure Carlene! I love each and every one. Can't wait to find good junk in '2014'! Happy New Year! I am inspired! I know the pieces I like, but I don't put things together in such a beautiful way as you do. Practice, I guess. Happy hunting in 2014!! Love the barn door (I bought one too). I also love the gate and am on the look out for one for my fireplace. Thrifting is so much fun and I love that you get it. I always enjoy your finds and this year you really hit the jackpot on some! I think my favorite is the potting bench/sink!!! I enjoy the way you put things together. Great talent. The finds are amazing... but it's what you do to them to make them sing blows me away. Gorgeous! You've had a great year!